Services Web 2.0 Twitter & SEO - Design and build an effective online marketing campaign and web site. should seriously consider having in their business communication mix. Twitter is a simple, but misunderstood communication tool. It can be very powerful and drive sales, but unfortunately most companies don't have a deep enough understanding of it to make it pay dividends. The application is free, but it takes specialized experience to realize an appreciable ROI. Unless you have big bucks to throw at it, it is best to manage in a Tortoise and the Hare fashion - proceed slowly. A big surprise for many is that Twitter is not a pure-play Social Media tool. It's also a corporate espionage device. Some of my clients use it to monitor competitors ... and that's not very social is it? Whatever your reasons to use Twitter, your best option is to get good advice before you waste a lot of time and money. Twitter can also dramatically improve your SEO - search engine ranking. 1) Set up your Twitter account, show you how to use it, and YOU manage it in-house. 2) Set up your account, train you how to use it, and co-write and manage it alongside you. 3) Set everything up for you, research and *Ghost Write the Tweets and manage it for you. 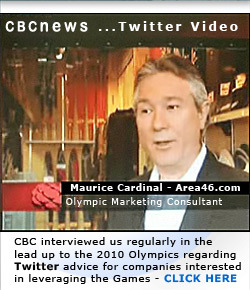 * Don't believe for a second busy CEOs and executives research, write and Tweet independently.